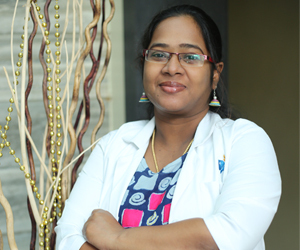 Dr. Sarasa Kavitha has vast experience in various ranges of preventive and therapeutic dental care for children and adolescents. She is a dynamic and highly skilled Pediatric Dentist. Moreover, she possesses great ability and patience to deal with kids. She has 8 years of academic experience & 10 years of clinical experience. Dr. Sarasa Kavitha is a thorough professional with eminent ethics who has four national publications and numerous presentations to her credit.